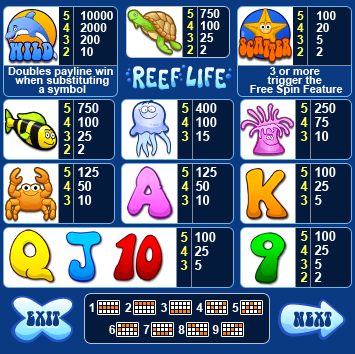 Reef Life pays left to right on adjacent reels, as per the paytable, and pays only the highest win on a payline. All wins occur on selected lines only, except Scatter wins, which pays out anywhere providing the Scatter symbols are on separate reels. Min coin size = 1c and Max coin size = $2.50. When Wild substitutes in a winning payline, the prize is doubled. 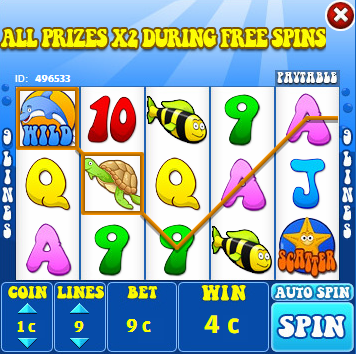 During free spins the Wild multiplier works in conjunction with the free spin multiplier. 2 or more Scatter symbols anywhere on separate reels wins a prize according to the paytable. 3 or more Scatter symbols anywhere on separate reels trigger the Free Spin Feature. 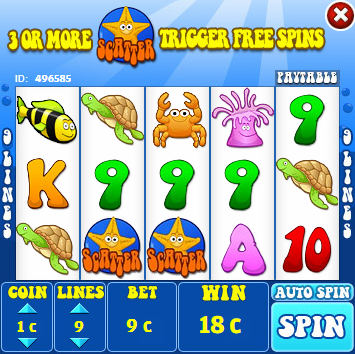 3 Scatters anywhere during free spins will re-trigger the Free Spins Feature. 15 Free spins are added to the remaining free spins.